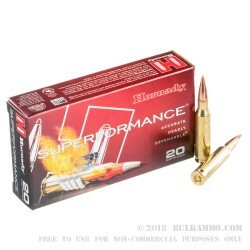 These Hornady “Superformance” rounds are what you might call, a “highly optimized” loadout. The refinements and tweaking to excellent base components and the overall attention to detail makes for a premium performance round, regardless of what you are doing with it. With the already impressive chops of the 7mm-08 Remington for hunting, and the well-known value for this caliber on steel silhouette targets means you are getting even better shot placement and performance numbers from this load. 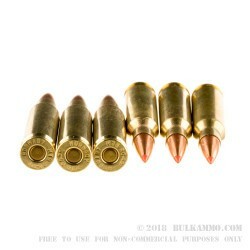 The 139 grain bullet is a bit lighter in weight than some of the available 7mm-08 loads, but the trade-off in performance means you are getting something truly spectacular with this load. 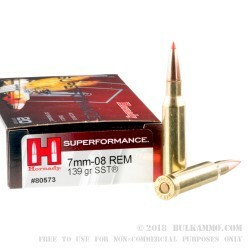 The super-fast, flat-shooting and efficient projectile (the SST – Super Shock Tip by Hornady) means that the target, whether it is the deer, elk, or moose that it is perfect for in the field, or it is the steel target at 500 yards, is going to be receiving a hard hitting, performance oriented bullet when you pull the trigger. 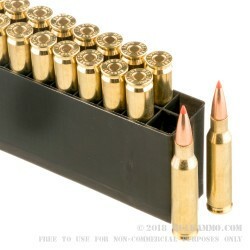 It’s hard not to notice the exceptional components that are also included in this build, with the Boxer primed brass that offers the structural integrity for many reloads, and is built to an epic tolerance level in a factory that is nearly a custom manufacturer of ammo with all the hand touches and inspection from workers involved.